Dolphin Dawn. Original painting in oil on canvas, 36 x 48 inches. $1,200.00, plus tax, shipping, and handling. 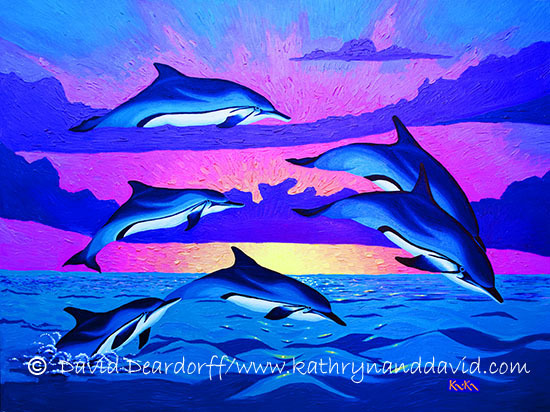 A pod of common dolphins greets lucky sailors as the sun rises over the sea.